The first CFA Yearbook was published in 1958, in 1973 it was expanded to a large (9" x 12") hard cover designer edition and in 2003 Yearbook was redesigned as an 8-1/2" x 11" format. 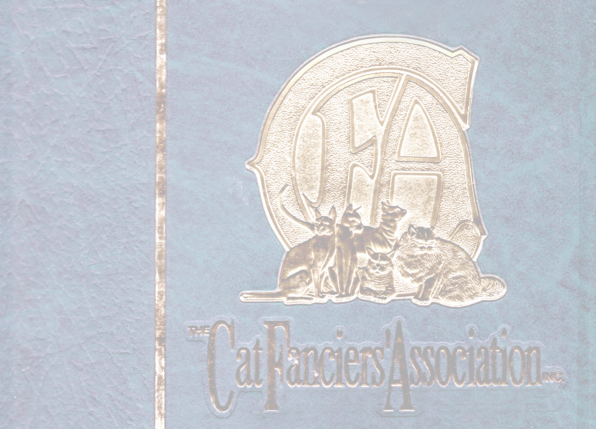 The YEARBOOK is published annually with the continuing history of CFA and exceptional pictures of the finest pedigreed cats in the world. The CFA Yearbook contains the current CFA Constitution; award winners; Grand Champions, Grand Premiers and Distinguished Merits; interesting articles and feature stories by breeders, research scientists, and veterinarians; as well as breeder advertising. The CFA YEARBOOK is a prized addition to any library. The DRBC places an ad in the Yearbook each year featuring the top Devons in each class of competition.